Brazil 2014: Penalty Shootouts: They’re just a lottery… right? So for once, England’s fate will not be decided by penalties in the World Cup. Their early exit at the group stage has saved as the agony of the dreaded penalty shootout, which the England team have a troublesome history to contend with in major tournaments. A bank of confidence it is certainly not, with just one win in six penalty shoot outs in World Cups and European Championships. We regularly hear cries from the losing fans of “well penalties are just a lottery aren’t they”, “they’re just pot-luck”, “the Germans /Portuguese /Italians /Argentineans got lucky” etc. But if this were the case, why is England’s record so poor? If the shoot out is no better than a toss of a coin, why isn’t England’s record of success closer to 50% (rather than 17%)? Is the penalty shoot out really just a lottery? Studies which have examined the history of penalty shootouts have suggested otherwise (Jordet and Hartman, 2008; Jordet, 2009a; Jordet, 2009b). Player’s behaviours before taking penalty kicks, plus players’ statuses, have been shown to perhaps play a role in their eventual success or failure. Jordet and Hartman (2008) examined all the penalty shootouts that had taken place in the FIFA World Cup, European Championships and the UEFA Champions League (36 shootouts with 359 penalty kicks) and discovered a number of things. When a particular penalty kick was to win the shootout, players were successful 92% of the time. When a penalty kick was to keep a team in the shootout (i.e. not to lose), players were only 61.8% successful. This finding was attributed to “avoidance motivation” (Jordet and Hartman 2008), where those faced with a kick to avoid losing were forced into an avoidance (negative) mindset. This conclusion was backed up when the behaviour of players before taking penalty kicks was also examined. When players walked back from the ball having placed it on the penalty spot, a note was made of whether they walked back facing the goal or looking away from the goal. Looking away from the goal was identified as “avoidance behaviour”, a sign of players trying to disengage with the task at hand by looking away. On shots to win the shootout, players faced away from the goal 14.4% of the time, while on shots to avoid losing they looked away 44.1% of the time. This suggests that avoidance motivation is more likely to lead to avoidance behaviour in penalty kick takers (Jordet and Hartman, 2008). So this indicates that penalties aren’t such a lottery, and that the mindset and motivation of penalty kick takers can play a significant role in deciding a team’s fate. You could argue that, to be more successful, penalty kick takers could try to treat each penalty as if it’s to win the shootout, in order to maintain a positive mindset and keep avoidance motivation at bay. However, this still doesn’t explain why England in particular have been so poor in the past. Jordet (2009a) examined which countries had the best penalty shootout record in World Cups and European Championships. Surprisingly, the Czech Republic had been successful with every kick taken in penalty shootouts (20 out of 20), closely followed by Germany (92.9%) and then Denmark (90%). Rather unsurprisingly England were the second worse nation (67.7%), only 1% better than the Netherlands (66.7%). However, on shots when the keeper went in the correct direction, England were rock bottom with 50% (with the Czech republic still top). So why was this the case? Not only were the perennial under-achievers England amongst the worst, but two regularly un-fancied teams (the Czechs and Danish) had two of the best records. Jordet (2009a) proposed that choking is triggered in the first instance by “ego-threat”, when an athlete perceives a situation as being potential harmful or threatening to their stature or status (Jordet, 2009a). This in turn leads to avoidance motivation and avoidance behaviour (as described earlier). The Czech Republic and Denmark featured no players who had been named on the shortlist for FIFA World Player of the year, no players to have won the World Cup Golden, Silver or Bronze Boot, finished in the top 3 for the Ballon D’or or had featured in the UEFA club team of the year (Jordet, 2009a). On the other hand, on average 19.4% and 20.8% of England and the Netherlands teams respectively had featured players who had won one of these individual accolades. In other words, players from England and the Netherlands in the past have had more reasons to experience threats to their egos, whereas the Czech Republic and Denmark had not. England players also engaged in far more avoidance behaviours than their more successful counterparts (Jordet, 2009a). 56.7% of England players looked away from the goal as they prepared their run up for penalty kicks (avoidance behaviour), compared to 4.5% of Spanish players (Jordet, 2009a). In summary, England’s most decorated footballers have choked in the past because they are more likely to experience a greater threat to their ego when faced with a high stakes penalty kick. This is compared to international teams featuring players with less reputation to lose from a failed spot kick. Jordet (2009b) also analysed the success rates of spot kick takers who had won individual accolades and awards at the time of taking their kicks (“Current Stars”), compared to players who would go on to win them in the future at the time of the spot kick (“Future Stars”). Current stars (who in theory would experience more ego threat having already won their awards) were only 65% successful from the penalty spot, while future stars had a staggering success rate of 88.9% (with players who never won any awards in their career at 73.6%). It could be argued that the future stars were more successful because a high pressure penalty shoot out was perceived in their eyes as an opportunity to go out and win their reputation. Therefore, this research by Jordet (2009b) would suggest that when faced with a penalty shoot-out, younger, more in-experienced players yet to fulfil there potential are more likely to be successful than some of their more experienced, decorated team mates. With this knowledge, would teams facing a penalty shootout in the knockout stage of this year’s tournament push their young guns up the order for a penalty shoot out? This remains to be seen. Some say that penalty shoot-outs are an unfair method for deciding the result of the football match. However, many psychologists would argue that they are the ultimate test of nerve and technique under pressure. Who will rise to the occasion and who will crumble come the knockout stages? Jordet, G. (2009a). Why do English players fail in soccer penalty shootouts? A study of team status, self-regulation, and choking under pressure. Journal of Sports Sciences, 27(2), 97-106. Jordet, G. (2009b). When superstars flop: Public status and choking under pressure in international soccer penalty shootouts. Journal of Applied Sports Psychology, 21, 125-130. Jordet, G., & Hartmann, E. (2008). Avoidance motivation and choking under pressure in soccer penalty shootouts. Journal of Sport and Exercise Psychology, 30, 450-457. 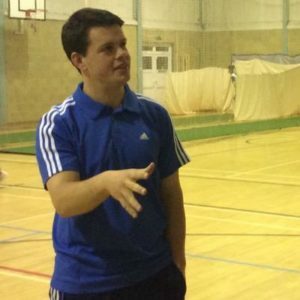 Trainee sports psychologist and postgraduate rsearcher with a passion for cricket, rugby and all things performance!